This entry was posted in Denmark Denmark Immigration and tagged Denmark Corporate Residence Permit Denmark Corporate Scheme Denmark residence and work permit denmark work permit Stay in Denmark work in Denmark on December 4, 2014 by Blog Author. Denmark is a land of opportunities which holds a promising future for individuals wanting to enhance their career abroad. If you are working for a company that has branches in Denmark, you are eligible to qualify for Denmark corporate scheme. If you have special skills and qualifications, you can be transferred from the company’s foreign department to Denmark. You can then engage in work that is innovative or educational in nature or work on a project. A corporate residence permit becomes obsolete once you give up residing in Denmark or if your stay outside Denmark has been for more than six months. If you have a Danish residence permit based on family reunification, humanitarian grounds or asylum, you do not require a Denmark work permit. In case of illegally working in the country, you stand chances of deportation and you and your employer risk the chance of fine or even imprisonment. In order to obtain Denmark corporate scheme, a number of conditions should be fulfilled. Most of these are related to the company and its status. It is therefore, best if the company which is to hire you, must obtain a corporal approval before a Denmark residence and work permit can be granted to you. In order to start working for the Danish company, you have to first receive the corporate residence permit and ensure that your stay in Denmark is an enriching experience. 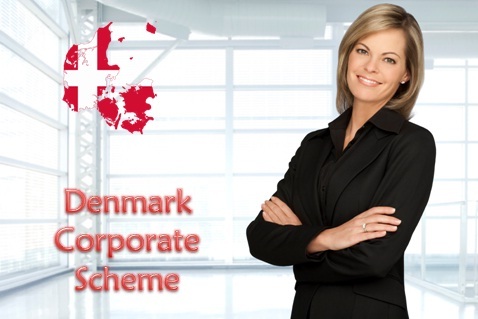 For more information about Denmark Corporate Scheme, fill out our enquiry form, then one of our visa executive will get back to you.